Gone to See America 2013. Nikonian Annual Photography Adventure Trip. 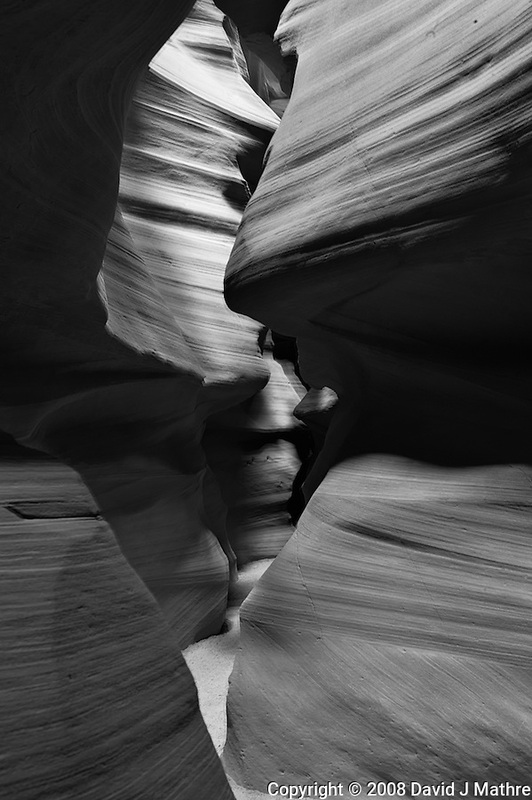 Day 4: Page, Antelope Canyon, and Horseshoe Bend. The US Government was in shutdown mode while we visited Arizona. All the National Parks, Monuments, and other “non-essential” government facilities closed. The organizers of ANPAT 13 scrambled to find other locations for the four vans of photographers to visit. 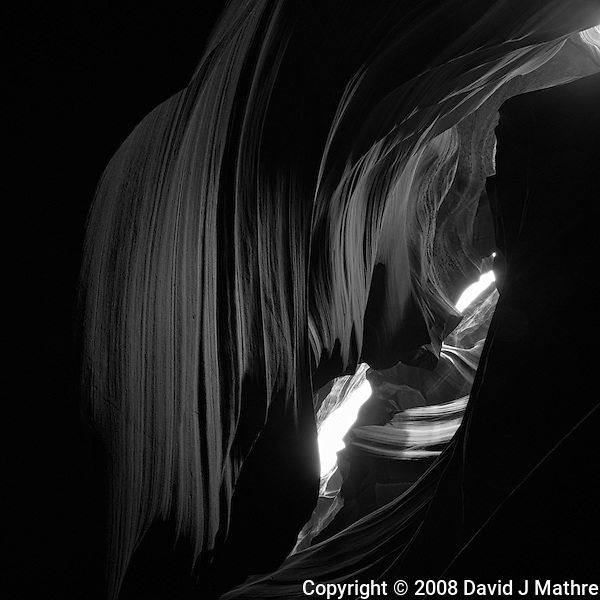 The original plan was to spend most of remaining time in Grand Canyon National Park. Many folks signed up for the trip specifically to see the north rim of the Grand Canyon and not surprisingly disappointed and angry. 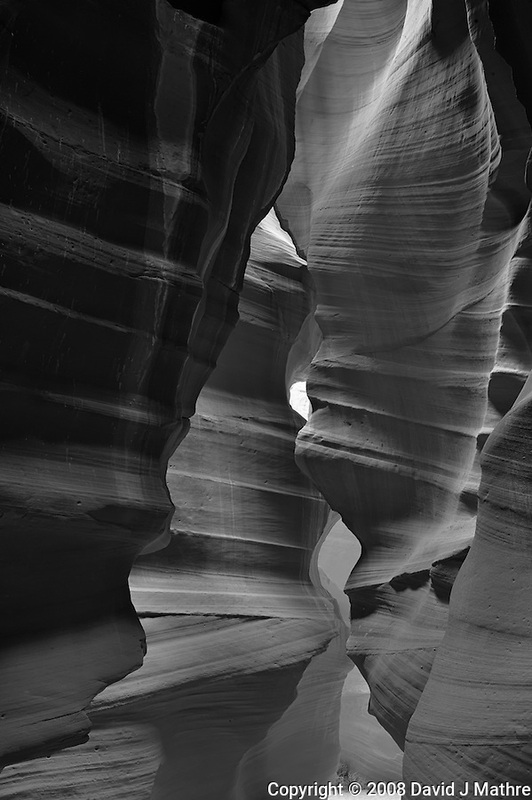 Our van’s revised assignment for the day included Lower Antelope canyon, on Navajo land, and thus not closed. 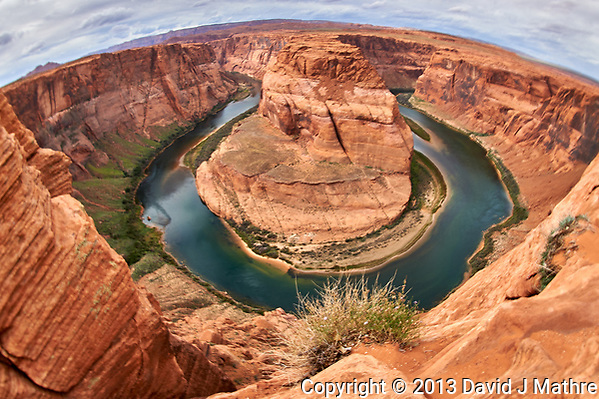 Horseshoe Bend, where the upper vista point is on Bureau of Land Management (BLM) land — technically closed, but not preventing visitors hiking to the vista point. 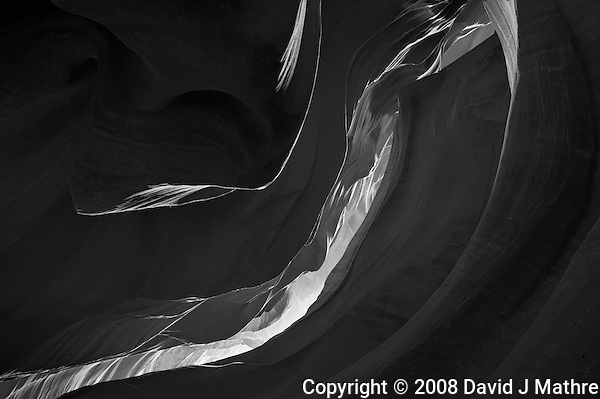 Finally, Glen Canyon Dam, where the visitor center closed, but the dam and power generation remained in operation. Like us, tourists from all around the world were looking for alternative things to do and see leading to overcrowding at some locations. 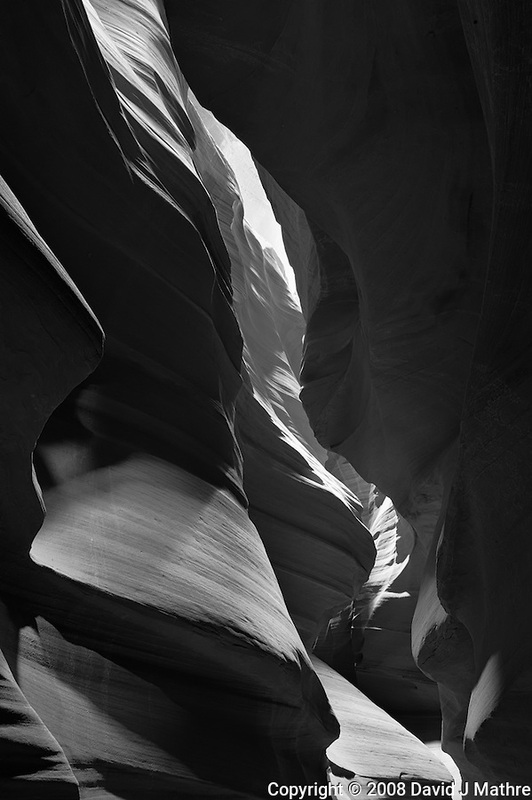 We first drove to Page, and then Upper Antelope Canyon. I’d been there before on a Photography Workshop with Winston Hall. It is a target rich environment for photographers. 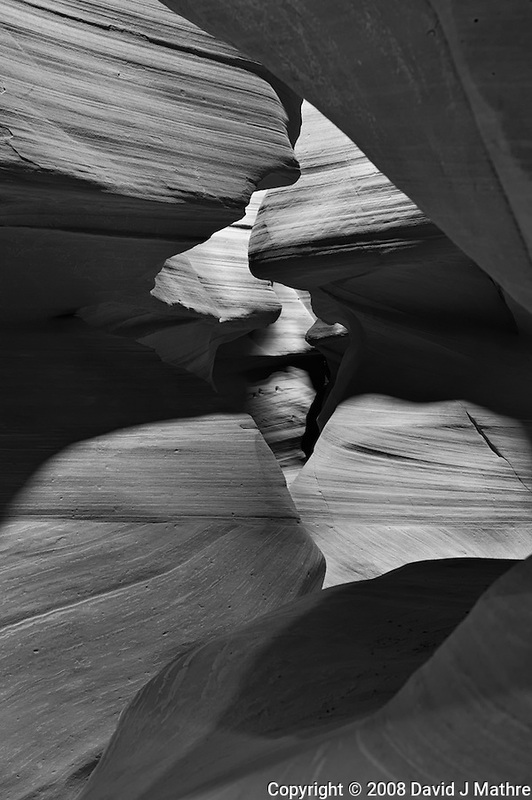 You can only visit Antelope Canyon with a Navajo guide, and this time we had to sign a release regarding use of images and safety. 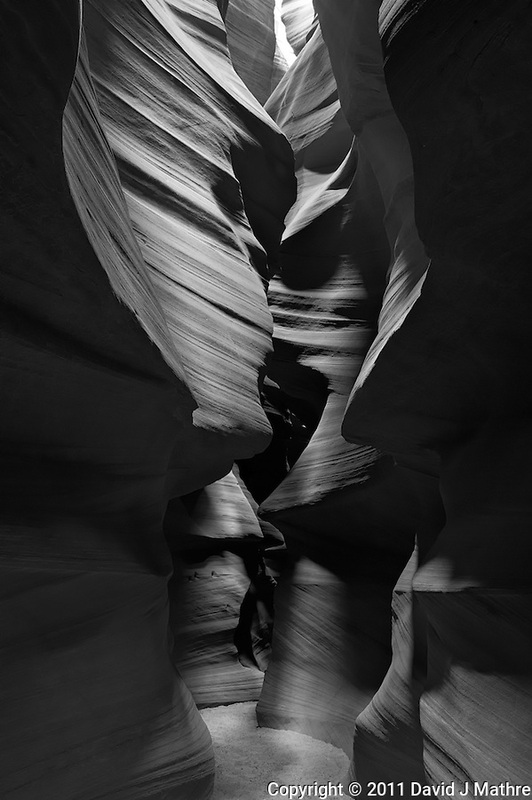 The sky was cloudy, so we didn’t have the light beams coming down into the narrow slot canyon — but it still was a wonderful place to get some very unique images. The next stop was Horseshoe Bend. I’d also been there before with Winston Hall. The parking area was nearly full, and the only evidence of the government shutdown were locked restrooms. We hiked to Horseshoe Bend vista point, and found many folks already there. Rather than fight for a spot at the favorite viewpoint, I found a different place with a good view. I mounted a camera Nikon 800 camera with a fisheye lens on a sturdy monopod, then held the camera over the edge. It’s quite a view. 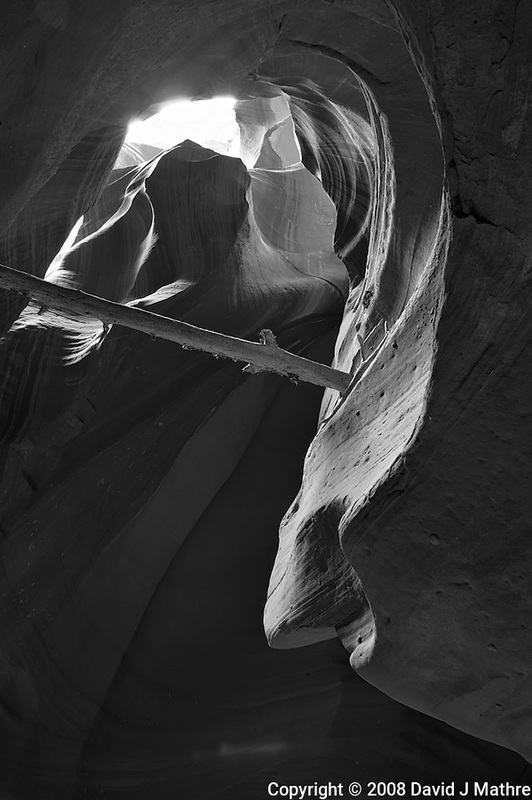 A bit later I saw a National Geographic photographer put a camera out over the canyon wall with an even longer pole. This was before the days of drones. Individual images from theses slideshows can be viewed here. 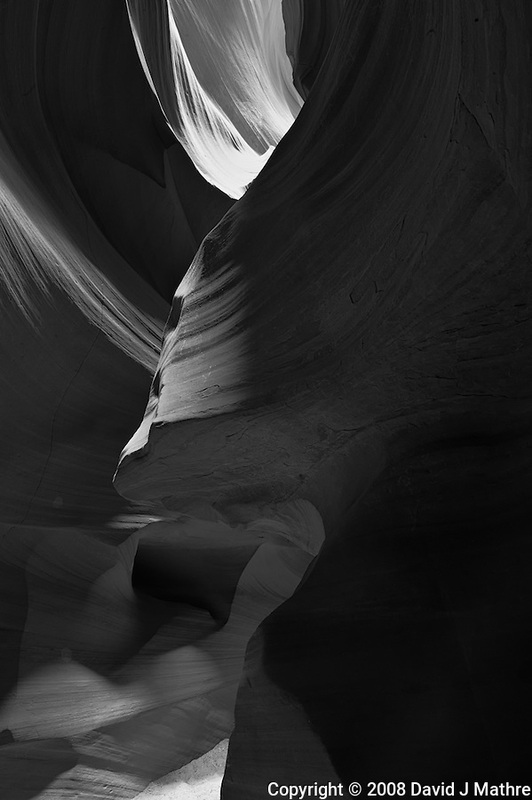 Page Arizona Photography Workshop with Winston Hall. 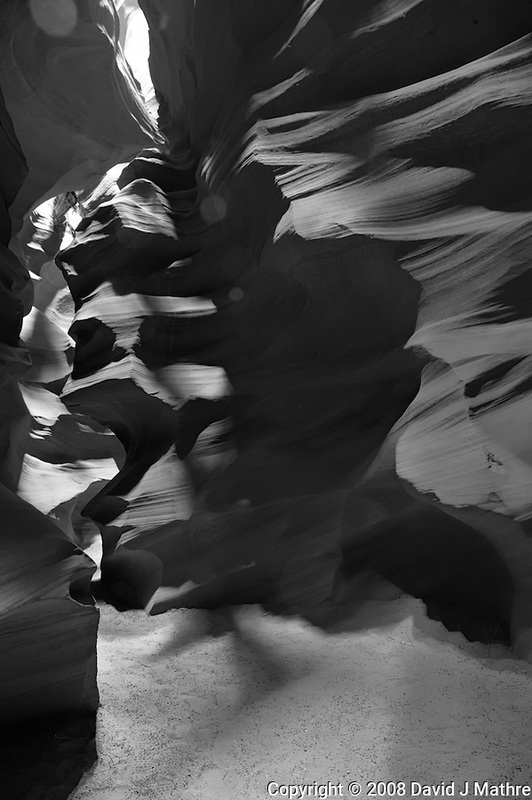 Day 2: Upper Antelope Canyon. 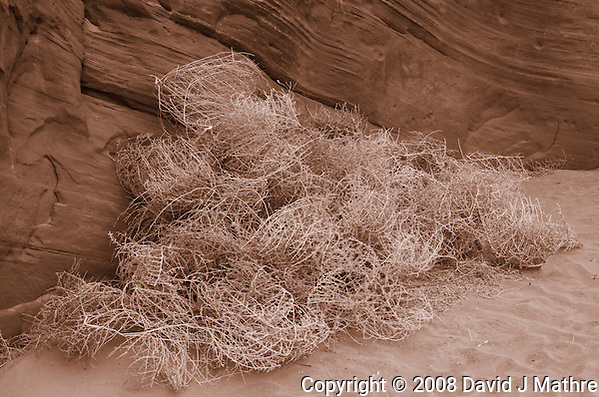 Tumble Weed at the Entrance to Upper Antelope Canyon near Page, Arizona. Image taken with a Nikon D300 camera and 18-200 mm VR lens (ISO 200, 27 mm, f/8, 1/320 sec). 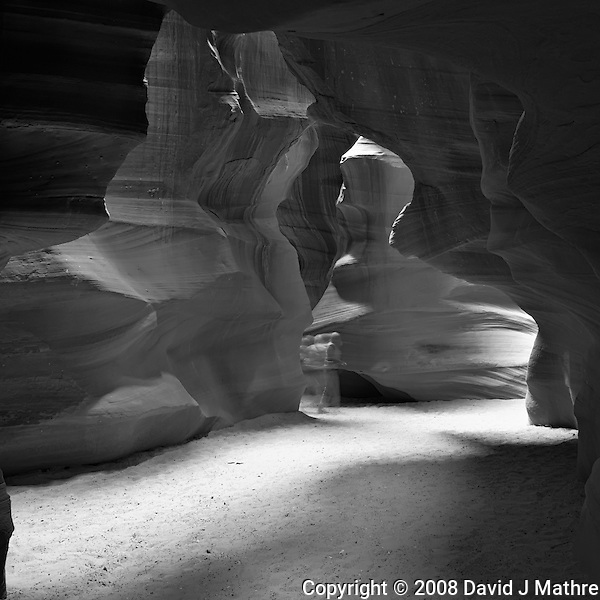 Raw image processed with Capture One 6. Gone to See America 2008. 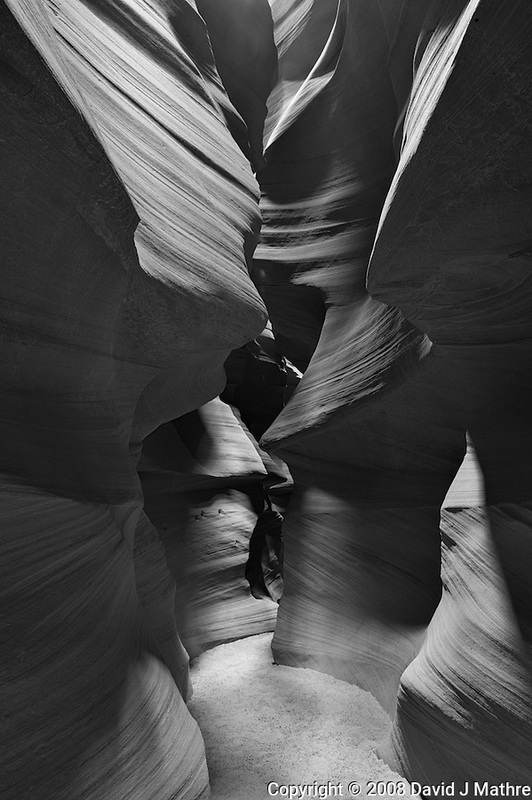 Page Arizona Photography Workshop with Winston Hall. 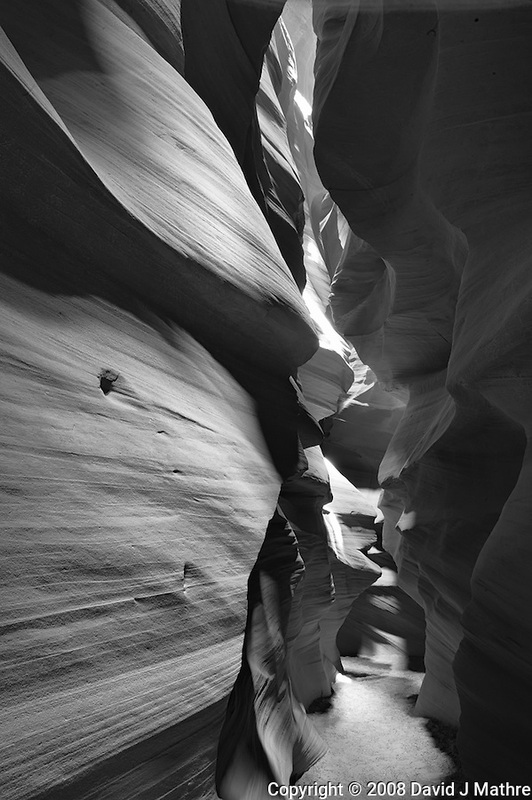 Day 4: Buckskin Gulch. Shadow Boxing. 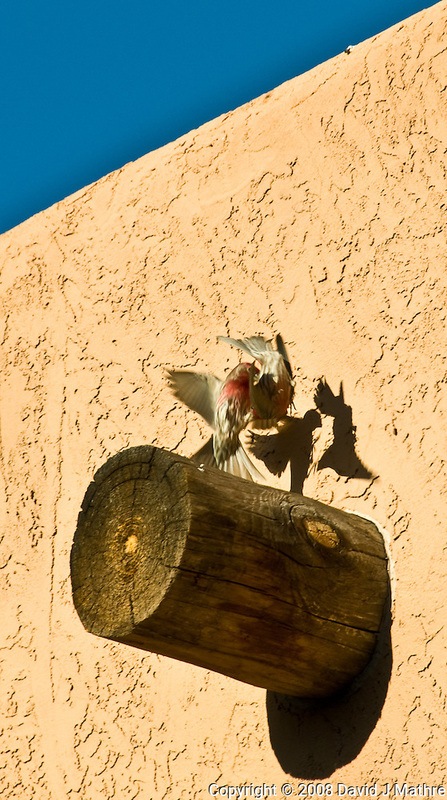 While waiting for the vehicles to get ready for the workshop location I saw this pair of male House Finches fighting. Image taken with a Nikon D300 camera and 18-200 mm lens (ISO 200, 200 mm, f/8, 1/640 sec). Nik recently upgraded its Silver Efex Pro plug-in for Photoshop CS5 to version 2. 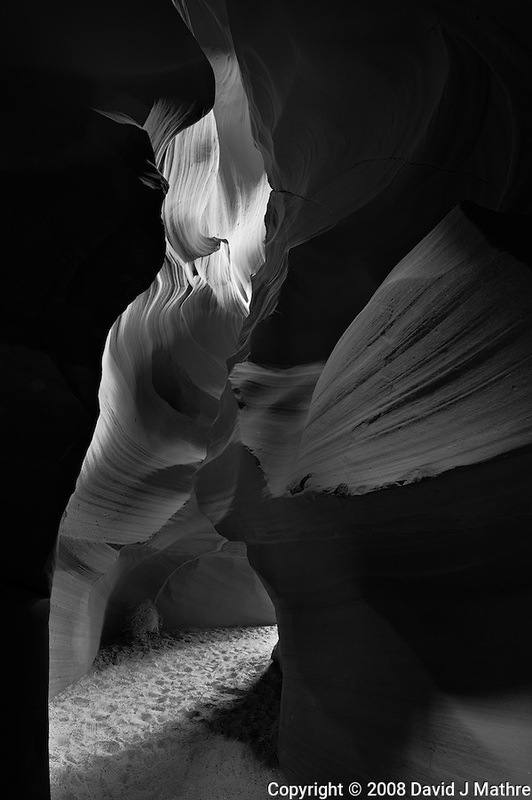 The following images of the Upper Antelope Canyon were taken during a Page Arizona photography workshop lead by Winston Hall. The raw images were processed with Capture One Pro, converted to tiff and transferred to Photoshop CS5, then converted to B&W using the new Silver Efex Pro plug-in. The conversion used the default “Fine Art #19” settings. Make a comment to this blog post, or send me an e-mail if you see the ghost in one of the images.